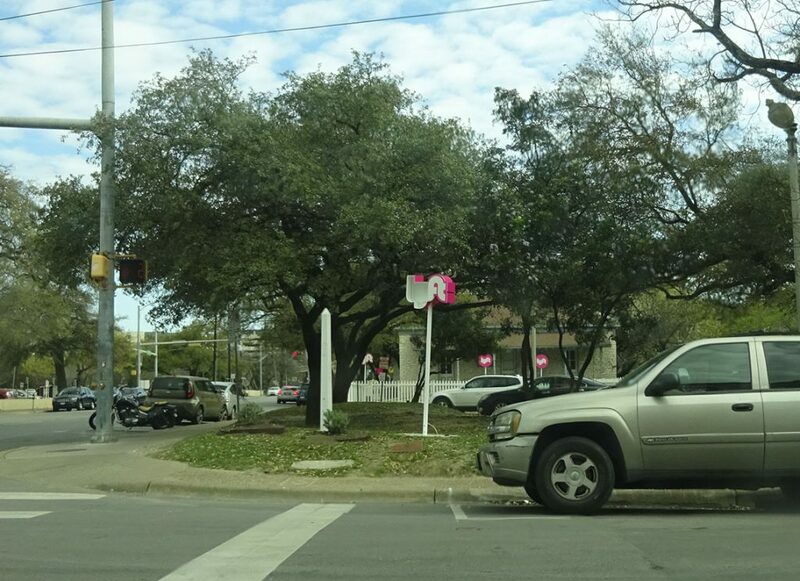 Because we set up in a lodging somewhat far from the venue this time, we got to use Lyft, an official partner of SXSW as of this year, every day we were there. There was even a temporary Lyft driver oasis set up near the venue with free sodas and other items available where drivers could park their cars and take breaks. 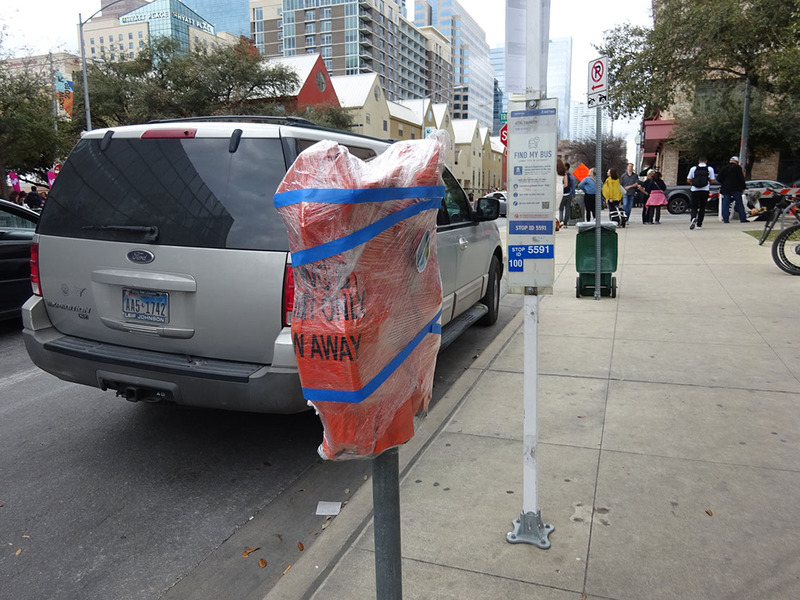 Soon after arriving in Austin, we got the impression that the city was full of kind and talkative people. Even our Lyft drivers spoke with our group that came all the way from Tokyo just like we were friends and gave us all sorts of local information. 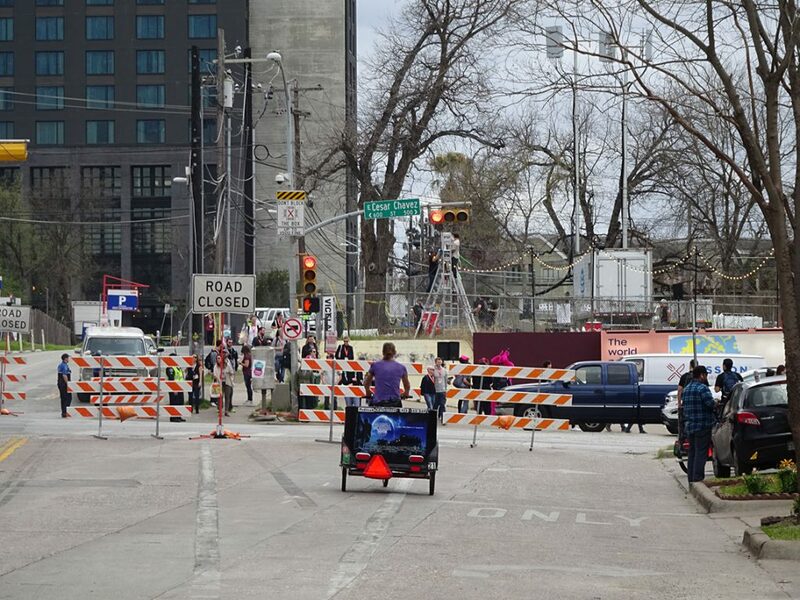 Some drivers had come all the way from San Antonio just for SXSW, and some were born and bred Austin natives. All of the drivers loved Austin and the state of Texas, and it seemed that they were truly proud of this event. Excluding one exception, that is. The traffic congestion in the area around the venue got worse as the days moved on towards evening. We put in a request for a car to take us home, but the car didn’t arrive no matter how long we waited. Before long, we received a call from the driver who seemed like she was about to cry and explained that she couldn’t move due to the traffic jam and would like for us to walk several blocks down to meet her where she had parked her car. Despite the uneasiness we felt due to our lack of familiarity with the area, we somehow managed to make it to her white car. After we all got into the car, she repeatedly apologized saying that she had only just come to Austin a short while ago. “I hate Texas, but Austin is better than where I live in Dallas. 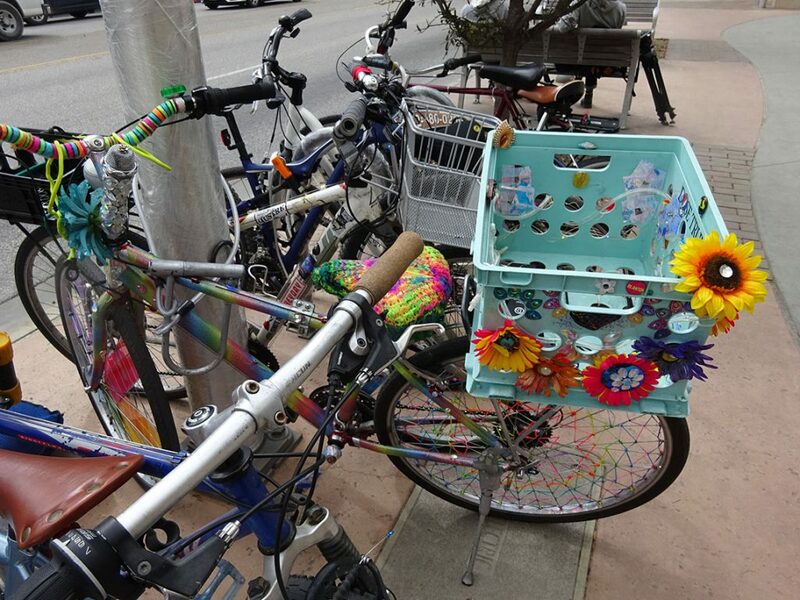 A driver behind me yielded for me a little while ago, and I don’t hear people honking their horns here,” she explained. She was from Guam and had come to live in Dallas 5 years ago for personal reasons, but she couldn’t deal with her new life in Texas and had planned to throw everything away and move to Thailand the week before we met her. However, upon finding out about these plans, her parents became worried about their daughter with her bad kidneys and strongly opposed the idea. She was then forced to abandon her plans to move. She wasn’t working as a driver because she wanted to, but she mentioned that her customers with Lyft did treat her better as a person than those of other companies. We arrived at our destination before we knew it while listening to her story. We couldn’t think of anything appropriate to say in response, but she told us “I’m glad I was able to talk to you about this” before dropping us off. The ride only lasted 20 minutes, but it gave us a chance to think anew about the meaning of spending time in the same space with someone in a car. I imagine that there are some people who can talk about certain things in the car that they couldn’t mention otherwise. Perhaps this driver of ours was able to tell us her story precisely because we were a once-in-a-lifetime encounter for her. This experience made us wonder about what sort of effects human relations might experience in the coming age when the spread of self-driving cars becomes a reality.